We will help you make an educated decisions whether you are buying your fist paintball gun or upgrading to the latest and greatest paintball guns. CriticalPaintball.com has been in the paintball business for over 15 years. We offer a full line of paintball guns, paintball gear and paintball accessories. As you browse our site, you will see we carry the full product lines of major paintball manufacturers such as Empire Paintball, Dye Paintball, GoG Paintball, Valken Paintball, Planet Eclipse, MacDev Paintball, Virtue Paintball, JT Paintball, Halo Paintball, V-Force Paintball, Draxxus Paintball, Tippmann Paintball, Kingman/Spyder, Dangerous Power, BT, Critical Paintball, Custom Products (CP) and Many More. We have the best Prices on Paintball Guns, Paintball Tanks, Paintball Packs / Harnesses, Paintball Playing Gear, Paintball Loaders, Paintball Goggles, Paintball Barrels, Paintball Accessories and Paintballs. We are constantly changing our paintball gear inventory so you get the newest paintball products on the market. We carry paintball gear from all new manufacturers. Rest assured that when making your paintball gear purchase from Critical Paintball that your items will make it to you safely and in once piece. Feel confident in your paintball gear purchases from Critical Paintball as we have professional knowledge and have a large selection of products. Always know that our fully trained paintball pros are here to help you make the right choice in gear..
Critical Products - In this section you will find all of the products we here at CriticalPaintball.com manufcature and sell with our brand on it. 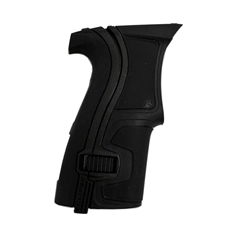 Everything from our Critical 100g Barrel systems to our triggers and after market products for guns. Paintball Apparel / Clothing - Our Paintball Apparel / clothing selection is filled with the latest and greatest. 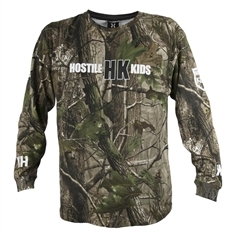 We guarantee to have the most current paintball clothing and paintball gear online. Do not miss your chance to find a paintball jersey, paintball gloves and paintball pants starting at around $50. Paintball gloves are great to keep your hands protected while out on the battelfield. Paintball Jerseys mostly come with padding and protection built into them which keep you protected on the field. 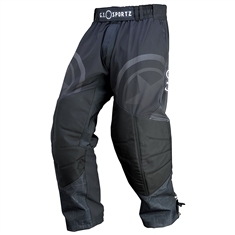 The most important part of the paintball clothing is paintball pants. A good pair of paintball pants will have tons of knee and groin protection as well as give you protection from paintball impacts. Paintball Barrels / Accessories - If you are looking for better accuracy out of your paintball marker, check out our great selection of paintball marker barrels. 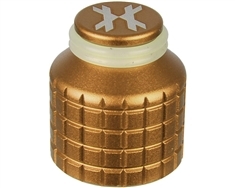 Our upgraded paintball marker barrels are sure to give you better accuracy and consistency. The stock paintball barrels are usually one of the first paintball marker upgrades you will need be more competitive on the field. We carry paintball barrels from every manufacturer in paintball and have great pricing. Our aftermarket paintball marker barrels are all micro honed and micro polished in order to give your paintballs unrivaled accuracy. When choosing a paintball barrel for your gun make sure that you get the right type of threading. There are about a lot of different types of paintball marker barrel threads that have been produced over the years. The most common type of paintball barrel threading is Cocker or Auto Cocker threading. This thread has been widely adopted in the paintball community and is now the basis for the majority of paintball markers that are being produced. If you are not positive what type of barrel your paintball gun takes, then give us a call so we can ensure you make the right choice in barrel threading. There are 3 main types of paintball marker barrels. You can get a single piece paintball barrel, 2 piece barrel ,or paintball barrel kit. For the newer players a 1 piece paintball barrel will be perfect for you and your marker. The 1 piece paintball gun barrels are fairly inexpensive and most commonly retail around 30 to 50 dollars. Paintball Field Gear / Chronographs - In our Paintball Field Gear / Chronographs you will find everything you need for a paintball field. We have a large selection of handheld chronographs to check the speed of your paintball marker. Most field require the paintball marker to shoot 280 fps (feet per second). Paintball Gearbags / Backpacks / Cases - Need somewhere to store your paintball gear or make it easier to get all your paintball gear to the field? Our paintball gearbag / backpack / cases section has tons of great paintball gearbags, paintball cases, and paintball backpacks. Paintball gearbags and paintball backpacks are unique from other bags because they are specially designed to hold particular items and keep them safe. Most paintball gearbags and paintball backpacks have padded gun areas, tank puches and microfiber mask areas. Keep all of your paintball gear together and safe, pick up your paintball gearbag. Choose the right size, style and color from your favorite paintball company. There are a few different things you want to look for when choosing a paintball gearbag. You will need to make sure that the paintball bag is the right size to hold all of your equipment. Some people want to hold all of their paintball gear while others only want to hold a few paintball items. When many people are choosing a paintball gear bag, they don't realize how large the bag is until they receive it. Most of the paintball gearbags weigh between 18 and 25 pounds with no gear. Once they are filled with all of your paintball gear, the bag tends to weigh between 60-90 pounds and even more if it is loaded up with paintballs and extra sets of equipment and cloths. 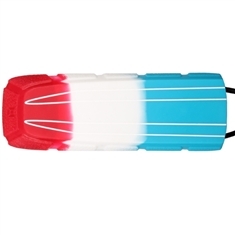 Dye Paintball Gearbag : The Dye paintball gear bag is one of the largest and most expensive paintball gearbags on the market. 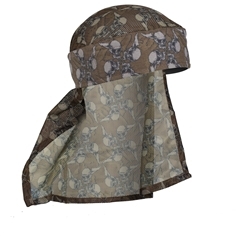 Dye Paintball makes some of the highest quality paintball gearbags on the market. They have a variety of sizes from there small backpacks to their large gearbags. Empire Paintball Gearbag : The Empire paintball gearbag comes in a variety of sizes making it easy to find one to fit your needs. The Empire paintball gearbag has a ton of different compartments so you can have a safe and secure place for your paintball marker and paintball gear. Paintball Guns / Markers - In this section you will find all brands of paintball guns / markers. We carry paintball guns from all leading manufacturers including Azodin paintball, Bob Long paintball, BT paintball, Dangerous Power, Dye paintball, Spyder Paintball, Eclipse paintball,D3fy Sports paintball, and Tippmann paintball. We guarantee you the best price paintball gear online and ensure you have a great experience when ordering with us. When choosing a paintball gun / marker there are two key factors to help make your decision. First, you should know the price range you want to spend on your new paintball gun / marker. Paintball guns / markers cost anywhere between $20 for a cheap paintball gun / marker and can cost upwards of $2000 for a high end tournament paintball gun / marker. When you know the price range you want to spend on a paintball gun / marker, it will narrow down your search and let you focus on the products within your budget. After you know the price range you want to spend on your paintball gun / marker, you will then have to understand what type of paintball games you are going to play. Everyone has a different style game play. Some of which include speedball, woodsball, recball, scenario, or tournament paintball. Tournament and speedball types of play would require paintball guns that are lighter weight and more compact. In the less expensive tournament paintball guns, you would be choosing from a selection of Azodin and D3fy Sports paintball guns / marker. These paintball guns / markers start at under $80 and max out at about $325. If you are looking for a middle priced paintball marker check out pur selection of Empire paintball, Dangerous power and the more basic Planet Eclipse paintball guns. If you want the highest level paintball guns on the market you would want to check out the paintball guns from Bob Long, MacDev, Planet Eclipse,Empire paintball, and Dye. If you are looking for a quality paintball marker for scenario/woodsball/recball, you would want to check out the more durable and realistic milsim paintball guns. The more realistic paintball markers include paintball gear from Tippman, BT and Tiberius Arms. These paintball marker brands are very durable and are modeled after actual guns. BT Paintball Guns : If you are looking for a good priced paintball gun or gear then check out the lineup from BT. The BT Paintball guns are favorite among woodsball and scenario paintball players with their realistic look and feel. Dye Paintball Guns : The Dye paintball gun line is top notch and used by many of the pro paintball teams. The Dye paintball gun is a spool valve design which has very little kick and is very easy on paintballs. The Dye paintball gun series starts retailing at just above $100. Tippmann Paintball Guns : The Tippmann paintball gun company is the world renowned leader in manufacturing the most durable paintball guns on the market. All users know that if you want a low maintenance paintball gun that will always shoot when you pull the trigger, you need to go with a Tippmann paintball gun. The Tippmanns start their pricing at just about $100 which makes this one of the lowest cost paintball guns on the market. Spyder Paintball Guns : The Spyder paintball gun company has been in business since the inception of paintball. Spyder paintball guns are very good quality along with their entire line of paintball gear. If you are looking for a good quality paintball gun from a reputable paintball gun manufacturer then Spyder is just the thing you are looking for. Bob Long Paintball Guns : Bob Long paintball guns first hit the market in 2000 and quickly became known as the one and only real tournament paintball gun. As the years have passed, the Bob Long paintball gun has innovated and changed to stay ahead or inline with the competition. The Bob Long paintball guns are all manufactured and built right here in the US. Feel confident in purchasing a paintball gun from a great and long time paintball company. Dangerous Power Paintball Guns : Dangerous Power paintball guns are fairly new to paintball but have taken off very quickly. The DP Paintball guns are very easy on paintballs and shoot very consistently and accurately. The Dangerous Power paintball gun is light weight and has many features that are similar to the $1000+ paintball guns. The DP paintball gun starts at under $300 and is available in a few different models. Eclipse Paintball Guns : The Eclipse paintball gun is one of the most highly regarded paintball guns on the market. Their top of the line paintball gear is second to none and their guns are used bye the majority of pro paintball teams. If you want to really be taken serious on the paintball field and have a liberal budget then check out all of the Planet Eclipse paintball guns and paintball gear.